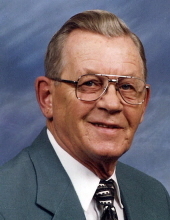 WILLIE H. OLTMANS, age 92, of Luverne, Minnesota and formerly of Lake Benton, Minnesota passed away on February 1, 2019 at the Minnesota Veterans Home in Luverne. Willie's life history will appear here as it becomes available. To send flowers or a remembrance gift to the family of Willie H. Oltmans, please visit our Tribute Store. Guaranteed delivery before Willie's memorial visitation begins. Guaranteed delivery before Willie's memorial service begins. "Email Address" would like to share the life celebration of Willie H. Oltmans. Click on the "link" to go to share a favorite memory or leave a condolence message for the family.